WishGarden is an independent, woman-owned, family-run, community-conscious business. We believe in advancing the awareness of medicinal botanicals. Our signature formulations have a unique synergy which shows through in their effectiveness, essence and improved taste. 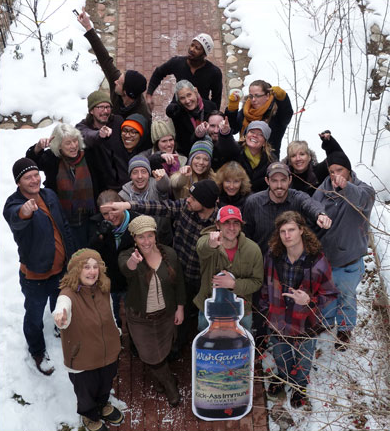 Our staff of trained herbalists use only certified organic and wild-harvested quality-tested ingredients in their mission to produce truly heroic remedies. This is great! I LOVE, LOVE, LOVE your company and always recommended your products highly when I worked retail. I still tell people about them all the time. So glad this resource (your blog) is available!